Effective, worry-free mineral sunscreens and sunblocks to use for daily or active wear. We don’t wear sunscreen for its glamor. It’s there for an obvious reason: to protect us from the sun’s UV rays. But not all sunscreens are alike. While it’s handy to pick one up from the drugstore, chances are it’s a chemical sunscreen that does more harm than good for your health. Here’s all you need to know about how different sunscreens work, why natural sunscreen should be your go-to, and the best ones to keep you protected all year long. What do we mean by natural sunscreen? Generally there are two types of sunscreen—chemical sunscreen and natural sunscreen. Conventional sunscreen found in drugstores. Contains a mixture of the six active ingredients oxybenzone, avobenzone, octisalate, octocrylene, homosalate, and octinoxate that can cause skin irritation and even hormone disruption. Works by causing a chemical reaction to happen in your skin between the active chemical ingredients and UV rays. The chemicals absorb UV rays, convert them into heat, and release it from your skin. This release of heat may increase dark spot formation. Sunscreen chemicals are harmful to coral reefs. They’ve been banned in Hawaii. Also known as mineral sunscreen, physical sunscreen, or sunblock. Contains the active ingredients zinc oxide or titanium dioxide. Uses natural minerals to physically block UV rays from your skin. You might notice a white cast as you’re applying one—that’s your safety shield right there! Zinc oxide and titanium dioxide are safe, as long as their particles are large enough to not penetrate skin (so the temporary white cast is actually a good sign!) or lungs, where it could lead to cancer. And we’re not just talking about oxybenzone or octinoxate. Parabens, phthalates, PEG, and many other synthetic chemicals should be kept out of your sunscreen. Nanoparticle-sized zinc oxide and titanium dioxide can be absorbed by skin, or inhaled to enter lungs, where they cause irritation and cancer. Always choose non-nano zinc oxide and titanium dioxide. We want to protect our pretty faces, but not at the cost of our animal friends or our beautiful planet. Sunscreen is a lot more fun to put on if it hydrates or moisturizes your skin too! Some natural sunscreen ingredients also help to repair your skin from sun damage. The sun emits two kinds of rays that hurt your health: UVA and UVB rays. UVA rays penetrate skin deeply to cause wrinkles, signs of aging, and skin cancer. UVB rays cause reddened skin and sunburns. 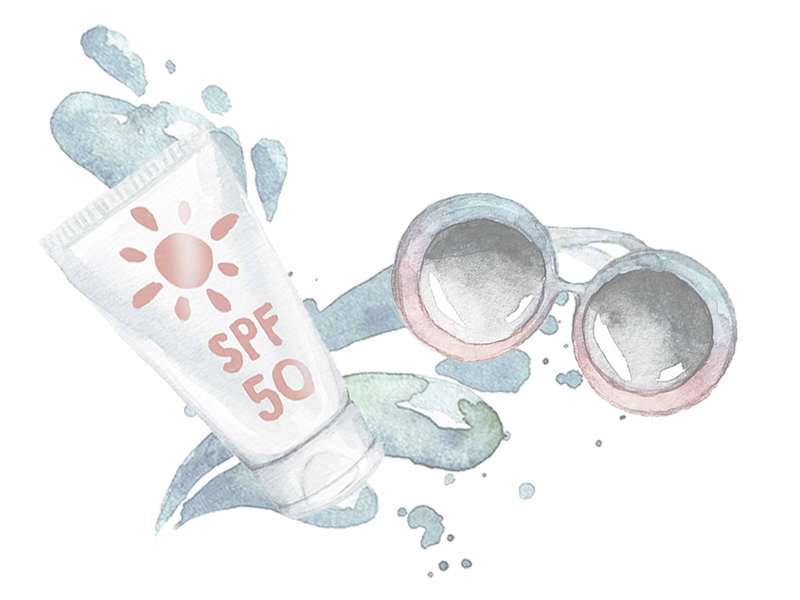 A full-spectrum sunscreen protects you against sun damage from both UVA and UVB rays. Gone are the days of dreading to put on sunscreen. This is a dreamy light, hydrating SPF formula that’s easy to spray and apply on your whole body for a matte finish. Yerba mate extract is rich in antioxidants to nourish and protect skin. Bonus: 100% Pure excludes titanium dioxide from this spray formula, since it can be harmful when inhaled. 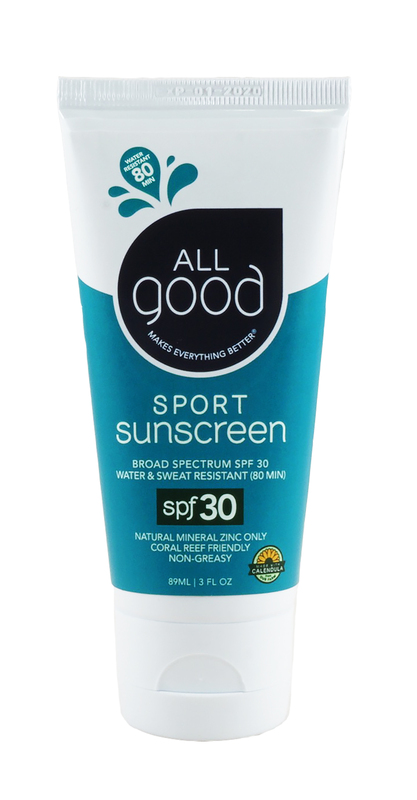 This sunscreen is a smooth creamy formula that applies easily to ensure full coverage during your action outdoors, without feeling greasy. Looking to ease that sunburn? The aloe, calendula, and green tea all work to soothe your skin so you can purely focus on your athletic performance. The raspberry seed oil is also rich in essential fatty acids and vitamins to repair damaged skin. With this sunscreen, you can stay active in the sun and rest easy, knowing that your skin and health are protected. It contains nourishing oil-based ingredients that are light enough to not clog pores, while also making the formula more water resistant. Use it at the beach without worrying about harming the coral reefs. If you have dry skin, this SPF should be your daily go-to. It offers full spectrum protection while moisturizing with luxe ingredients like green tea and sea buckthorn oil. Lycopene is an antioxidant from tomato that can protect against sun damage. 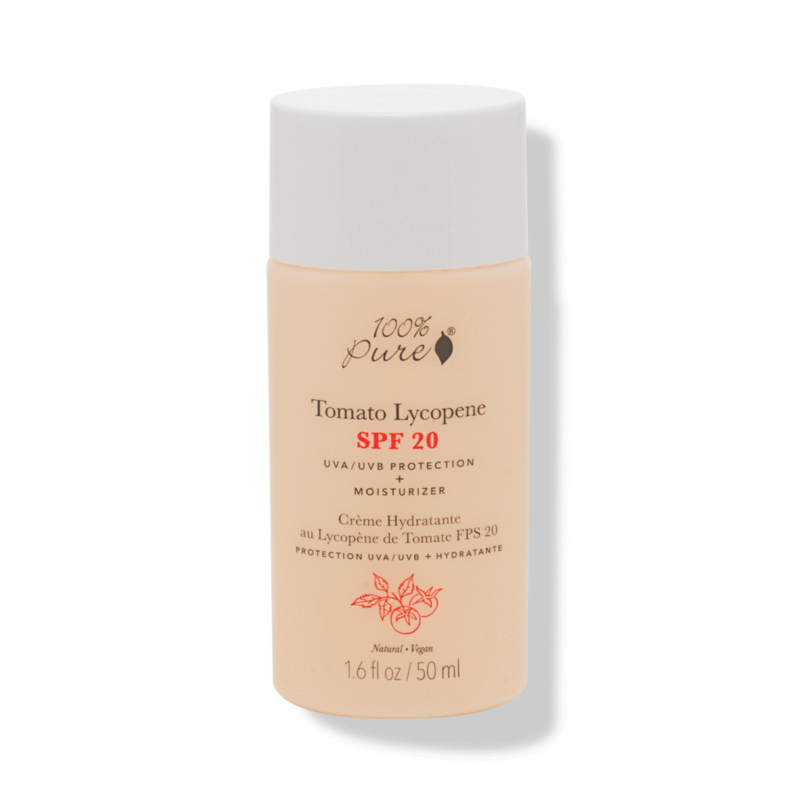 This moisturizer has a slightly dewy finish, and prepares skin for easy makeup application. A botanical-packed moisturizer with sun protection and skin-repairing ingredients for the long run. Oils from plants like sea buckthorn and jojoba are refreshingly light on skin with powerful antioxidant properties. Herbal ingredients soothe red or irritated skin. This luxuriously light cream provides a smooth, matte finish. No synthetic thickeners here, this creamy sunscreen contains coconut oil and shea butter to nourish and protect. It also includes soothing ingredients like aloe juice and cucumber to calm down skin, making this sunscreen a great choice for sensitive skin. Prefer to keep it simple? This organic sunscreen only needs 8 ingredients to do the job. 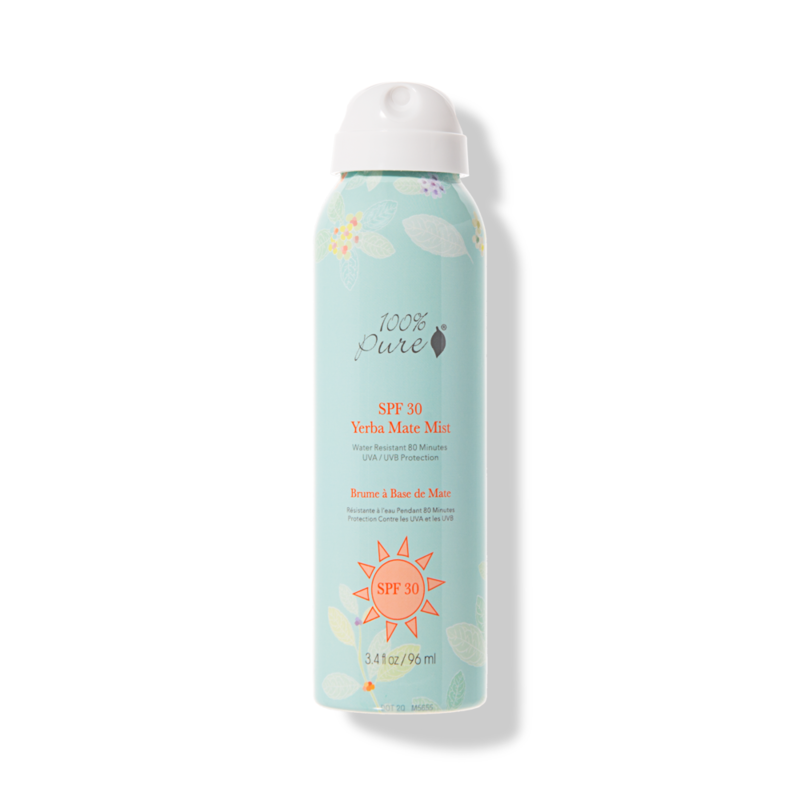 The creamy texture goes on generously, with antioxidant-rich ingredients like extra virgin olive oil and Vitamin E to protect even after you’re done with fun in the sun. That makes this sunscreen safe for sensitive skin, children, and babies. It’s time to face it, you need SPF on your skin all year long. Thankfully, there’s this multi-tasking sunscreen to make that easier for you. This formula is a matte finish moisturizer, anti-aging worker, and sunblock all in one bottle. Hyaluronic acid helps to seal in all the beneficial nutrients in this sunscreen. If you have oily or acne-prone skin, this SPF moisturizer will be your new best friend. Algae and cucumber extract soothe, while hyaluronic acid helps to seal in the nutrients. The only oil ingredients are a small amount of essential oils for scent, so you won’t have to worry about that greasy sunscreen feeling. Here’s another beauty multitasker to make sun protection less of a chore. This formula is a moisturizer, sunscreen and primer all in one. Light plant oils and hyaluronic acid moisturize without clogging pores. Algae and green tea soothe skin for a smoother complexion and easier makeup application. Apply sunscreen at the end of your skin care routine, and 15 minutes before sun exposure. Or if you’re using a moisturizer with SPF, feel free to apply straight after your last skin care product. If you’re using a sunscreen spray, make sure to spray away from your face. If you’re applying sunscreen to your face, spray the formula into your hand first, then apply on face. Blend and massage the sunscreen into your skin first before applying more for the most even coverage. Be generous! Remember, natural or mineral sunscreen works by physically blocking UV rays from your skin. You’ll want to cover every corner of your skin that’s exposed. Once you’re done, you can put on your makeup! Reapply your sunscreen at least every 2 hours. If your sunscreen isn’t water resistant, apply after sweating or swimming. If your sunscreen is water resistant, follow the directions on the label. Remember to use your best judgement when deciding how often to reapply sunscreen! We get that sunblock is an all-too-easy step to ignore when you’re out having fun. But with UV damage being the highest factor in skin aging, and skin cancer as the most common cancer in the US? We’d rather take the extra effort to protect our glow. 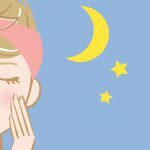 DIY Green Tea Mask for All Your Skin Woes: Help fight acne, wrinkles, and dull skin with 4 simple yet potent ingredients in a green tea face mask. 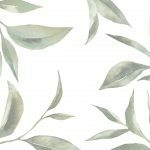 5 Best Organic Aloe Vera Gels with Pure, Potent Benefits: A gentle yet incredibly soothing ingredient that should be in anyone’s bathroom cabinet. 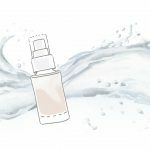 What’s Organic Skin Care, and Which Brands Should I Choose?